Outgoing Chair of the Great Lakes and St Lawrence River Cities Initiative, Denis Coderre, Mayor of Montreal, has shared his disappointment about funding cuts by Donald Trump, the US President, at its annual meeting. He outlined the urgent need to maintain funding for the restoration initiative to control and prevent invading species, particularly now that the presence of Asian carp has been confirmed in the St Lawrence River. 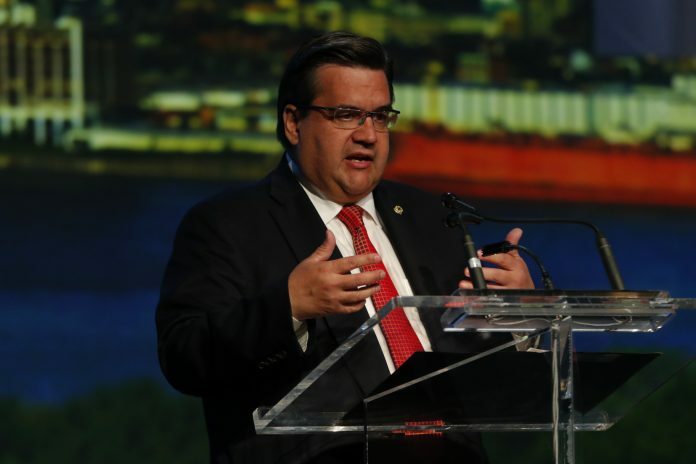 Mayors of the Cities Initiative have also asked the Canadian government to develop a more comprehensive strategy and framework for Great Lakes and St Lawrence funding. Given the area is a shared responsibility; the group is calling on both federal governments to reflect the importance of the resource in their budgets. “The mayors of the Cities Initiative will continue working with the Government of Canada to develop a funding strategy for the Great Lakes and St Lawrence River to ensure their successful restoration and protection for years to come,” said Sandra Cooper, Mayor of Collingwood, Ontario, and Vice-Chair of the Cities Initiative. Following the United States departure from the Paris Climate Change Agreement, the new Chair, Paul Dyster, Mayor of Niagara Falls, New York, reemphasised the increased role of cities in the fight against climate change. “While the President of the United States has bowed out of the Paris Agreement, we are stepping up as cities to lead the charge against climate change,” he said. The Great Lakes and St Lawrence Cities Initiative is a coalition of 130 cities from the United States and Canada representing over 17 million people.